The Bajau (Bajo) people, also called Sea Nomads or Sea Jypsies, are the common name for a few ethnic groups that live in Southeast Asia (mostly Philippines, Malaysia, Indonesia, and Brunei). For most of their history, the Bajau people lived a nomadic life, seafaring across islands. In Indonesia, Bajau live since 18th century, spreading across Sulawesi, Kalimantan, Sunda Islands, Maluku Islands, Raja Ampat Islands and Togeans. In modern Togeans most of Bajau have settled and formed small fishermen villages. Usually they build wooden houses on stilts over the sea along islands coast. For centuries, they made their living by fishing, and many of them still do, though because of extensive industrial fishing the sea cannot longer provide for all families. 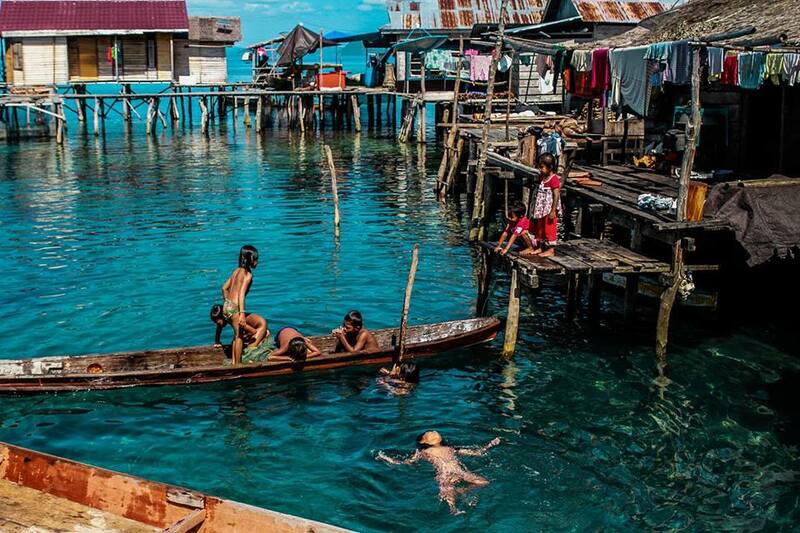 Living on the sea for all their life, the Bajau people are excellent divers. They are able to dive deeper than most people do without any additional gear. You can still meet the Bajau people of Togeans and their way of life. The most picturesque village is Pulau Papan near Malenge island. Colorful and festive, it is a must-visit place in Togean Islands. You can visit Pulau Papan and other villages on one of our snorkeling trips. By joining a trip, you pay a shared price for all participants Rp. 1,200,000. The price include a boat fuel, fresh water, and lunch.